Since its inception, QMS has experienced rapid growth, quickly earning recognition as one of the most innovative, trusted and successful SAP consulting solution providers in the U.S. and around the world. QMS is an SAP Consulting Firm that takes the time to understand the unique technology needs for each situation, and then helps our customers achieve the best value from their systems. We like to think of ourselves as a trusted partner for obtaining quality, efficiency and value from technology. QMS is, first and foremost, a team of talented individuals with world-class skills in a wide range of technology solutions. The three principals of QMS have a combined experience of over 43 years of working with SAP. Other SAP consulting firms do not have the SAP knowledge in-house and are often SAP generalists that simply contract SAP consultants when they have the need. The majority of SAP consulting firms do not maintain an internal team of SAP experts to support their projects, and thus do not have the knowledge, experience, and support that QMS can leverage internally. QMS has worked extensively with companies in the Life Science Industry, Medical Devices and Scientific Instruments, Biotechnology and Biopharmaceuticals and Pharmaceutical and Manufacturing. QMS also works with Food, CPG, and Chemical companies as well as Automotive and Equipment manufacturers. We have used this vast industry experience to develop our “Solution Set” offering of “Best Practices” for the implementation of SAP. We approach our projects from a business perspective and use our experience to develop creative and innovative solutions to meet challenging requirements. We look for ways to implement a phased approach and identify quick-hit, quick-win areas. We value our relationships with our customers, and above all else our reputation, which is determined by the success and happiness of our customer. We work to ensure our clients implement a solution that not only provides a wide set of benefits, but is easy to maintain in the future. We have a strong relationship with the QM Solution Management Team at SAP AG. We reach out to them when needed and in turn are asked for our opinions/direction in guiding where the SAP QM product is headed. We offer a unique blend of consulting services and methodology with real industry experience. Our leadership team has the experience, and recognizes the importance of value-based versus theory-based solutions. The QMS SAP consulting team is comprised of passionate, dedicated professionals who seek to improve the quality management and enterprise resource planning efforts of our customers in a range of industries. Our executive team is consistently focused on delivering profitable relationships through customized, intelligent SAP solutions. Carl Dunlap is a Principal & Platinum QM Consultant at Quality Management Solutions, Inc. (QMS). Carl has 23 years of experience with Enterprise Applications, including 22 years of SAP QM experience. QMS specializes in SAP Quality Management (QM), Manufacturing, and Plant Maintenance (PM) for Discrete & Process industries with a particular focus on the Food and Life Science Industry (Pharma, Med Device, and Bio-tech). Carl is a recognized expert in SAP Quality Management (SAP QM) and has worked on over 50 projects for Fortune 1000 customers worldwide. He is often called upon to speak at SAP conferences including SAPPHIRE and ASUG. Michael Krug is a Principal & Platinum QM Consultant at Quality Management Solutions, Inc. (QMS). Michael has over 19 years of experience in the QM Module of SAP and is also proficient in Manufacturing (PP/PP-PI), Plant Maintenance (PM) and brings a techno-functional flare with his ABAP Programming skills. Michael is recognized globally as an expert of SAP’s Quality Management module and has given over 30 presentations at SAP conferences including ASUG, SAPPHIRE and SAP webinars. His main industry focus includes Food and Consumer Goods, Chemicals, and Discrete Manufacturers. Rich Labbadia heads our Professional Services organization at Quality Management Solutions, Inc., and has more than thirty (30) years of successful leadership and entrepreneurial experience in Technology and Operations. Rich is very dynamic and resourceful with outstanding listening, communication and presentation skills. He conducts business with high ethical standards and has a highly successful proven track record of operational and professional services leadership excellence. Throughout his career, Rich has held Executive positions (VP/COO) with Commerce One, AppNet, and Research & Planning leading to 3 acquisitions and an IPO. He has had leadership responsibilities for $50m+ in revenues and 165+ employees in 5 offices with his primary focus on promoting revenue growth, high profitability, high utilization, and staff development. As founder and CEO of Confide IT Inc. a professional services company, Rich led the company through 7 years of strong growth and negotiated a successful acquisition in 2008. His focus on strategic client relationships and staff development, provides high-value services to our clients and helps position QMS for strong continuous growth. Gary Harris has over 20 years of personnel management and business experience and is the Operations Manager for Quality Management Solutions, Inc. (QMS). Mr. Harris has been with QMS since 2008 and has spent over 10 years working directly within SAP. His expertise in building relationships with Senior SAP “A-Team” Consultants is instrumental in delivering “on time & in budget” projects for QMS customers. When your company is preparing for a large-scale SAP project, whether for one location, a few warehouses or the entire enterprise, you need to have a good idea of the expected assessment and implementation process so you can plan accordingly. As well, when you are reviewing a few different providers, QMS likes to show our customers how we are different – and better – than so many other SAP consulting firms. So, how do SAP consulting companies like QMS work? The typical QMS customer is a Fortune 500 business that has already invested a sizeable amount of capital in one or more SAP Enterprise applications. Our customers compete in a wide cross section of industries but have one common goal: They must protect their investment in SAP, and make adjustments to their business processes in order to increase their competitiveness and ensure continuous improvement. Why do QMS customers all over the world seek us out? Because we have a significant working knowledge of industry best business practices as well as technical proficiency within the SAP Enterprise and products. They rely on us to help them make the right decisions concerning needed functionality and upgrades to the existing system. Most of all, they want to know that we are invested for the long term. QMS goes above and beyond to ensure your SAP project is a total success. Our approach is to treat you, your systems, and your people with the utmost in respect and care. In industry after industry, application after application, we consistently deliver quality and stand behind our work. This is one reason we have grown so fast over the past few years. The word has gotten out: QMS takes care of their customers and is tied to their customers success like no other SAP consulting firm in the world. The QMS Engagement Methodology focuses on the key strategic and tactical areas being addressed that maximize our customer’s return on investment and minimize the business risks. QMS’s experience in the delivery and implementation of SAP Enterprise software solutions provides a unique perspective in understanding and overcoming the challenges facing each individual client. QMS is characterized by the energy and enthusiasm of its highly experienced team. We pride ourselves on delivering business benefits and our practical approach to implementing change. We understand the common challenges faced by SAP users. And we know how to get the most from these systems to maximize your business benefit. 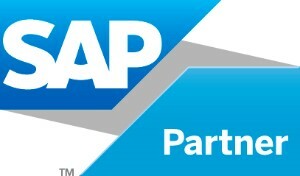 As Your SAP business partner, we are here to take your business – and your use of SAP – to the next level. We add value to our clients businesses on day one of every engagement. Our way of working is always geared towards the building of long-term, mutually beneficial relationships with our customers. As such, we focus relentlessly on delivering of the desired outcome, every time. We are, first and foremost, a SAP practice that works collaboratively with our partners and stakeholders in support of our customer needs. You’ll find that there is simply no other SAP consulting firm in the world that cares more about their customers than QMS. We are here to help you take your SAP system to unprecedented levels of efficiency. QMS takes the time to understand the unique technology needs for each situation, and then helps our customers achieve the best value from their systems. We like to think of ourselves as a trusted partner for obtaining quality, efficiency and value from technology. QMS is, first and foremost, a team of talented individuals with world class skills in a wide range of technology solutions. Ready to find out more about Quality Management Services and our comprehensive SAP Solutions? Whether you are a small manufacturer considering SAP for the first time or a multinational firm that wants to take your SAP systems to the next level, we can help. From planning to implementation, PLM, ERP and more, QMS is a SAP Consulting Firm with the expertise. Questions? Discover the real benefits of SAP. Talk with our SAP Consulting Team today. Whether you are seeking a single application solution or require an enterprise wide system, we look forward to helping you find the exact SAP solution to meet your needs.